It is 400 years this week since the death of William Shakespeare. The Bard’s vast array of plays still continue to be performed around the world, taught to school kids everywhere and referenced in modern day life. You can even see Shakespeare’s influence on where we travel, with destinations and buildings featured in his plays still inspiring travellers today. Shakespeare’s birthplace is now a major tourist attraction which you can visit year round. 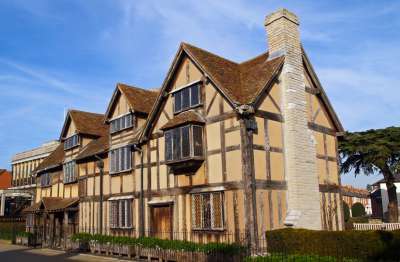 To immerse yourself in the full experience, Shakespeare’s Birthplace Trust has other properties to visit; from his wife Anne Hathaway’s cottage to the farmhouse of Mary Arden (his mother). The Royal Shakespeare Company also is based in Stratford at the Royal Shakespeare Theatre. It is a wonderful playhouse located right on the banks of the Avon. 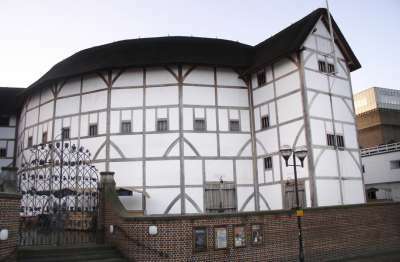 In central London, on the south side of the River Thames, you can find the Globe Theatre. Rebuilt in the late 1990s you can stand and enjoy a Shakespeare play in the open air. Don’t worry if you want to be protected from the elements as there are more comfortable seats available undercover. Plays run throughout the summer from April to September. A number of Shakespeare’s plays are also based in around the capital and, not surprisingly, you can take a guided walking tour to take in the highlights. 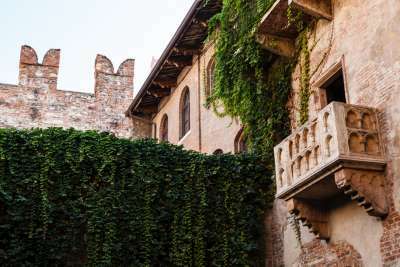 Romeo and Juliet is unmistakably one of the Bard’s best known plays and tourists flock to Verona to view the famous “Juliet’s balcony” located in the heart of the city. It is amazing to think that a work of fiction has now turned into the city’s main visitor attraction. If you are in romantic mood you can leave a message on the wall that leads you into the most popular courtyard in Verona. 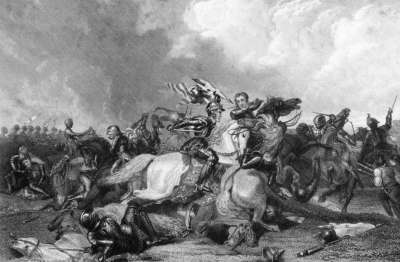 The battlefield that saw the decisive victory in England’s War of the Roses is also the place where another famous quote from a Shakespeare play was immortalised. Near the end of Richard III, the monarch, sensing loss, proclaimed he would give his kingdom for a horse. King Richard III has recently come back into the news with his remains being found in nearby Leicester and he is now reburied in Leicester Cathedral. 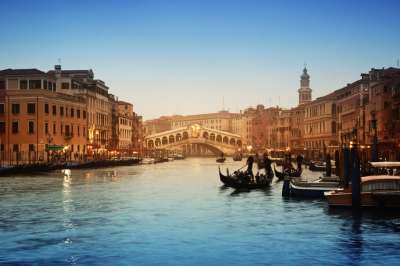 Shakespeare used many Italian cities in his work (10 plays in total) with two partly based in the magnificent city of Venice. It is not known if Shakespeare visited Venice, but the city already had a strong reputation and would have been well enough known for the Bard to have described scenes in both The Merchant of Venice and Othello without visiting. Rome is another city featured in multiple Shakespeare plays. The prime reason was because it was the capital of the Roman Empire which featured in three of the Bard’s tragedies - Julius Caesar, Titus Andronicus and the very underrated Coriolanus. 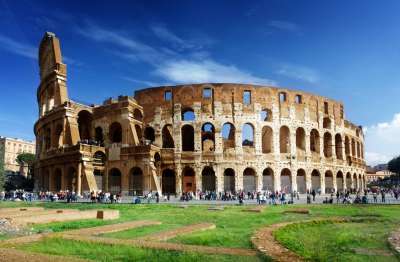 Today you can still explore remnants of the Roman Empire including the awe inspiring Coliseum (pictured). 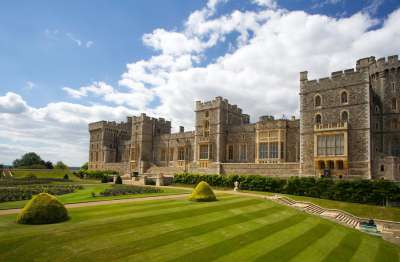 Windsor Castle and the court of Henry IV is the setting for Shakespeare’s comedy The Merry Wives of Windsor, with scenes taking place in Windsor Forest - which you can now visit as part of Windsor Great Park. Plus of course you should call in at the castle itself, which during Shakespeare's time was one of the favoured households of Queen Elizabeth I.
Shakespeare certainly seemed to favour Italian cities when choosing foreign locations for the settings of his plays. It is even argued by some that he was in fact Italian. However, other European destinations have been used including Denmark for Hamlet. 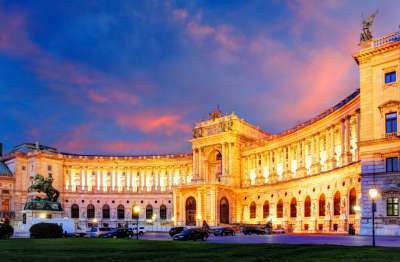 Vienna was the setting for the comedy Measure for Measure with one of the main characters being a Duke of the city. Macbeth lived in a castle in Inverness where he murders King Duncan. 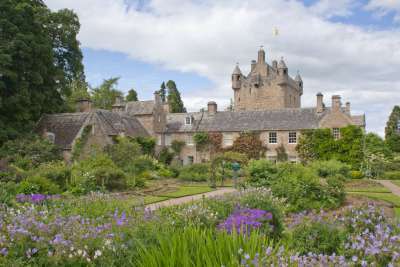 There's a wealth of history to explore, though neither the current Inverness Castle nor Cawdor Castle (pictured) are old enough to have been around in the 11th century when the play was based. To the east of Inverness is Forres where Duncan’s castle was located. No castle exists today, but just outside the town is the heath where the three witches meet and share their prophecy with Macbeth. Most of Shakespeare’s plays based in Italy are based in the northern part of the country but the comedy, Much Ado About Nothing, is based in Messina, Sicily. 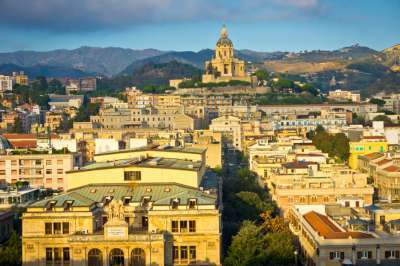 If you are visiting Sicily and travelling by train you are most likely to pass through this port city in the north-east of the island. While you're there you can explore the wild theory that Shakespeare was actually a Sicilian nobleman born in Messina!